Just a quick recipe post I found online. I'm trying to fix up my ridiculous eating habits by reducing the levels of rubbish I stuff in my mouth throughout the day...while browsing the interneweb I came across this badboy recipe... If you want any more healthy recipes let me know and I'll find them...Looks so yummy!! Note: In order to make the "flour", you need to grind up your oats... clever right?!! Mix rolled oats, yogurt and milk together in a bowl. Let stand for 10 minutes. 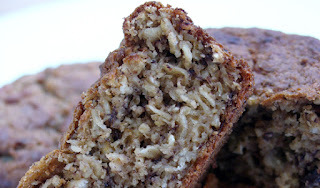 It will require about 2 cups of rolled oats to make the 1 1/2 cups or oat flour you need. Just pulse the 2 cups rolled oats in the food processor until they turn to a powdery consistency (like dry grits). Now, combine oat flour, salt, sugar, spices, baking powder and baking soda in a separate bowl. 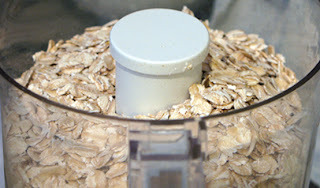 Add mashed banana, egg and oil to the rolled oat mixture and mix well. 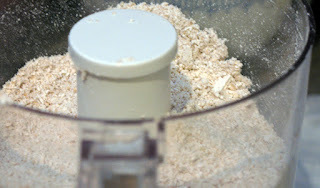 Now add dry oat flour mixture to rolled oat mixture and mix together well. Add in nuts and/or raisins if desired and incorporate evenly. Chocolate chips are great too! Thanks love... looks so yummy!! thank you so much for this my days off from work consist of me multi tasking in the kitch blogging cooking eating and trying to search for a flix to watch, definitely going to try this..
Awww thanks!! Yeh it's definitely one to try... and it's healthy.. woop woop!!! Yum they look amazing! I can't bake a thing! Hope they taste as good as they look!